Max Zeppetelli finished off a quick final table to win Event #18 of the World Cup of Cards at Playground Poker Club. 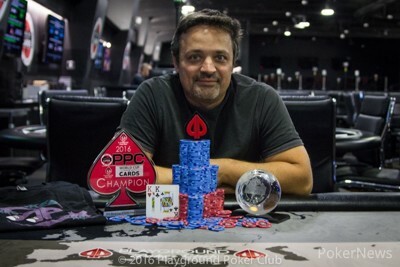 The Player's Poker Championship (PPC) World Cup of Cards Event was a $330 buy-in and had 137 entries. Zeppetelli started the day as the short stack, with 75,000. He ran up his stack and eventually bested the field to won CAD $7,080 plus a PPC Aruba Package worth $4,500. He eliminated the Jean-Manuel Estrala in third place and then offered Nimer Ltaif $900 to take second place. Ltaif accepted the and tournament ended with Zeppetelli declared the winner. He likely would have won, as he had a big chip lead at the time. Here is a breakdown of the payouts for the event. 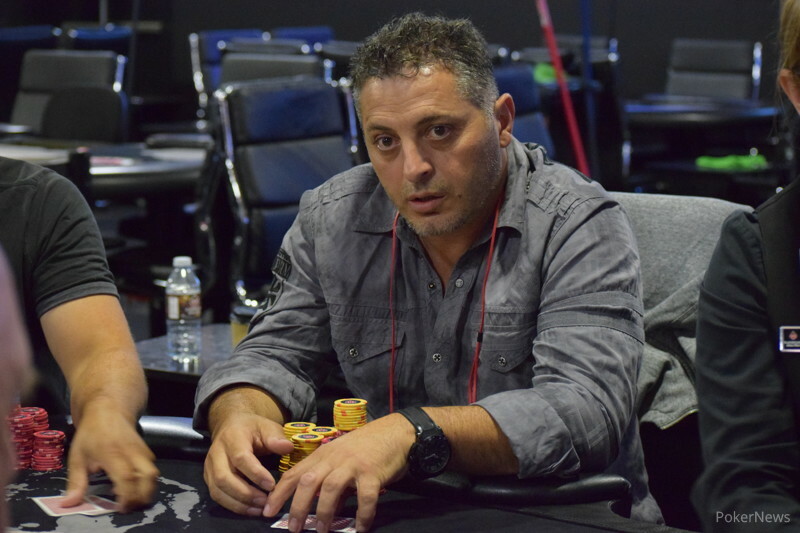 The first two players eliminated from the final table were both knocked out by Jason Conforti. Grant Pazarka shoved the small blind with queen-high and Conforti called with ace-high. Conforti would go on to win that hand and eliminate Pazarka in tenth. On the next hand, it was Conforti in the small blind and he raised with pocket queens. Jean-Philippe Lehoux three-bet shoved king-high from the big blind and Conforti called. He made ended up making a full house and eliminating Lehoux in ninth. 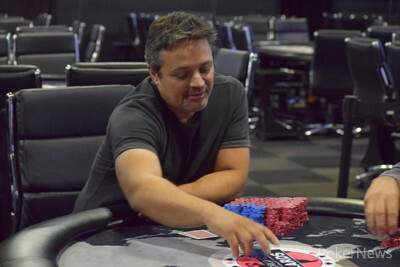 Roger Lamia, who entered the day as the chip leader went out in eighth place when he got pocket fours all in against Elie A., who held queens. ThenJean Sebastien Dubois's aces were cracked by Saman Revzani, who flopped a set of sevens. Elie A would be eliminated next by Estrala when he was at risk with five-high against the ace-high of Estrala. Elie A. finished in sixth place. Conforti would be next to go. He shoved all in with ace-king to Zepetelli's blind. He called with ace-jack. He ended up catching a jack to eliminate Conforti, who was not happy about it. After Zepetelli resumed play, the other players were talking about it and Zepetelli explained his strategy. "If you're folding ace-jack five-handed then don't play the f@!king tournament." Saman Revzani would be eliminated in fourth after doubling up Nimer Ltaif. He got all in against Zeppetelli. Zeppetelli had pocket eights to the two overs of Revzani. Zeppetelli would win again. Zeppetelli continued his knockout string by eliminating Jean-Manuel Estrala with pocket kings against ace-jack. Zeppetelli flopped a set and stayed ahead. There was no heads up play, because Zeppetelli offered $900 to Ltaif to secure first place and Ltaif took the money and second place. Zeppetelli took $7,080 and the $4,500 package designated for first place and Ltaif took $6,004 and the $3,473 second-place package. The PPC World Cup of Cards is Event #18. The World Cup of Cards is a month-long tournament festival at Playground Poker Club. PokerNews will be here throughout the festival, bringing you all the news, updates, and photos. Follow @pokernews on Twitter for live updates, Periscope broadcasts, and more. Also, follow PokerNews on Facebook and Instagram. 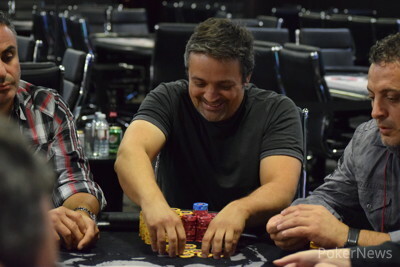 Jean-Manuel Estrala was eliminated in third place when he got all in against Max Zeppetelli with . Zeppetelli had pocket kings and would flop a set. Estrala flopped an ace, but it wasn't enough and he was eliminated in third place. He would take home CAD $4,100 for his third place finish. Immediately after the hand, Zeppetelli offered Nimer Ltaif CAD $900 to take second place. Ltaif took the deal and would take second place. He earned CAD $6,004 and a PPC Aruba Package Valued at $3,473. Max Zeppetelli has been offering his opinion on whether players should or should not have called during the final table. The table is having a good time with it, but Jason Conforti was on the losing end of a cooler at the hands of Zeppetelli. Conforti got all in with and Zeppetelli called with . He hit a jack to eliminate Conforti and send him to the rail with CAD $2,240 and fifth place. The table was talking about how the hand played out afterwards and Zeppetelli had some thoughts on that as well. "Look, if you're folding ace-jack, don't play the f! @king tournament." Nimer Ltaif then doubled through Saman Rezvani, leaving him short. He would shoved twice and Zeppetelli would call both times. They chopped the first hand, but the second sent Rezvani home. He had against the of Zeppetelli who called from the big blind. Rezvani failed to connect with the board and Zeppetelli rivered a full house. Rezvani took home CAD $3,190 for his fourth place finish. Zeppetelli then doubled Jean-Manuel Estrala up at the start of three-handed play. Elie A. was eliminated in sixth place by Jean-Manuel Estrala. Estrala was on the button and Elie A was in the small blind. 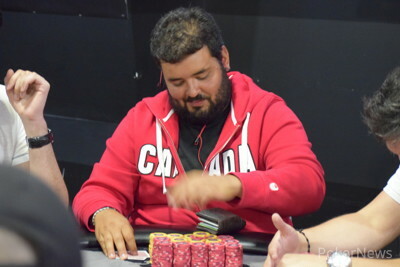 The two got all in preflop with Estrala ahead and holding against the of Elie A.
Estrala turned an ace and dodged a gut-shot straight draw to eliminate Elie A. Elie A took home CAD $1,920 for his sixth place finish. Jason Conforti then doubled up through Max Zeppetelli to bridge the gap between Zeppetelli and the rest of the field. Zeppetelli still has the chip lead though, but is just ahead of Conforti. Max Zepettelli is building and building, taking over the chip lead and is currently the only player above 2-million chips. He has almost a two-to-one chip lead over Jean-Manuel Estrala with six remaining. Jason Conforti was the chip leader, but after not finding much to play over the last level, he dwindled down and eventually called off 390,000 from the big blind with . Nimer Ltaif was his opponent and he had . He flopped a jack, then turned a jack, and rivered a full house. The final table is quickly down to six after Roger Lamia and Sebastien Dubois are both eliminated. Fist, Lamia, who entered the day as the chip leader, got all in with pocket fours against queens and lost. Elie A won that hand and broke 1-million chips with the elimination. Lamia took home CAD $960 for his eighth place finish. Then Saman Rezvani flopped a set of sevens against the pocket aces of JeanSebastien Dubois. Dubois stood at the table a few minutes after, still stunned at being eliminated. Nimer Ltaif doubled through Jean-Maneul Estrala when he shoved for 280,000 on the button and Estrala called with . Ltaif had and would turn an ace to win the pot and double up. Jason Conforti still leads the final six. The PPC Montreal Starts Today at 7 p.m.